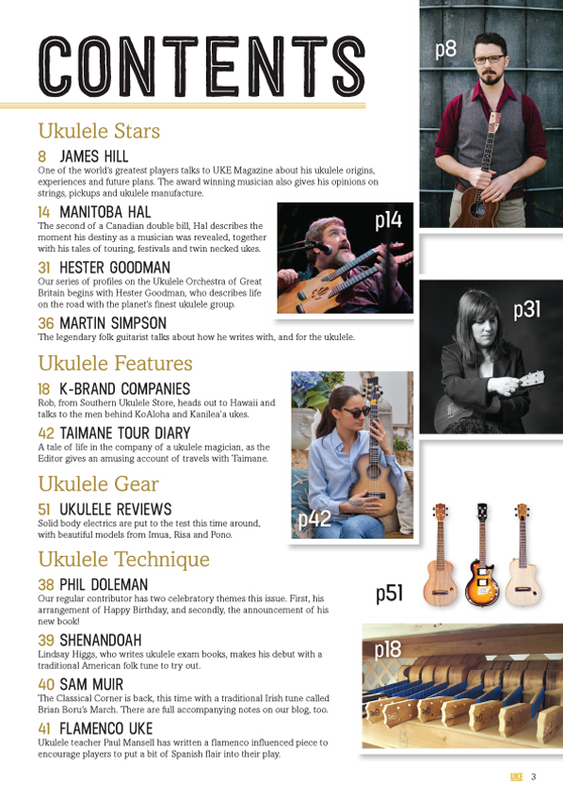 If you buy UKE Magazine Issue 7, prominently featured you’ll find James Hill. This Canadian musician is a ukulele phenomenon, doing more than most to shatter the non-ukulele playing public’s perception of the instrument. His interview plots his rise to the top of the ukulele tree, and gauges his opinion on music, family, ukuleles, strings, pickups and gigs. 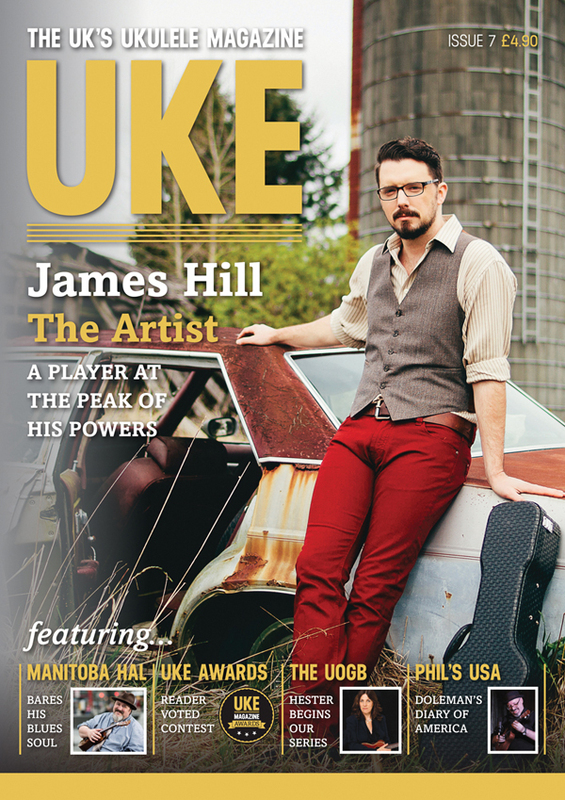 There is also an interview with Bluesman Manitoba Hal, forming a Canadian double-act for UKE Magazine’s 7th edition. He describes the bolt from the blue that changed his life, setting him on the road as a professional musician. And, in the first of a series focussing on Ukulele Orchestra of Great Britain members, Hester Goodman answers our questions. There are so many other features too! An important one is the launch of our UKE Magazine Awards. We’ve decided upon the awards we’ll be giving, and now want to ask your ideas on who should receive nominations - all of this before a public vote for the winners. We also follow Southern Ukulele Store’s Rob Pratt over to Hawaii, where he gets the lowdown on the famous K-Brand ukulele makers, in the first of a two-part special. 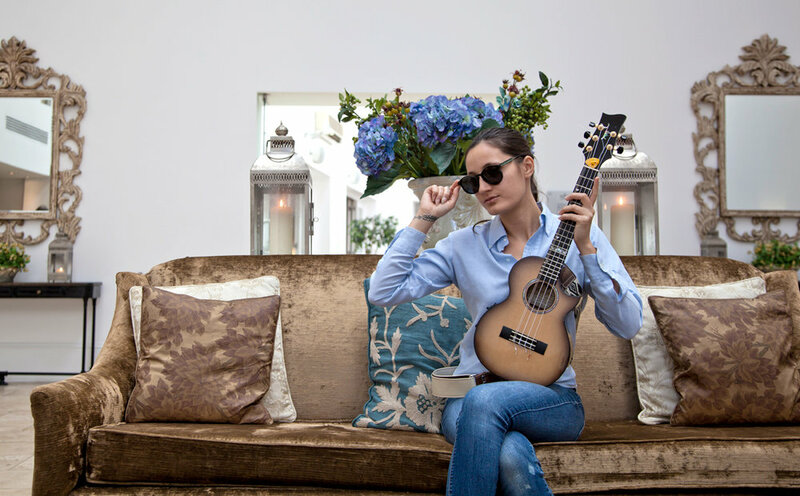 We review solid body ukuleles, check out an Australian made twin-neck, announce a new competition alongside our 2017 ukulele calendar, follow our travelling ukulele around Europe, get a tour diary from Taimane Gardner’s visit and review the latest CD’s. And, that’s just the start of what’s inside the world’s best looking UKE Magazine! One of the world’s greatest players talks to UKE Magazine about his ukulele origins, experiences and future plans.